While we all get hyped up about responsive design for websites, let’s not forget responsive email. 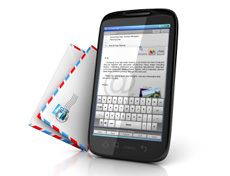 EmailMonks has compiled some data on how and when mobile users check email on their devices (via SmartInsights). With only 25% of companies observed sending mobile-friendly email, and 73% of US mobile users checking email on their devices daily, sub-optimal email experience should keep many a marketer up at night.